Create a unique quilted look that involves absolutely no sewing at all! This Faux Quilted Bulletin Board is made with foam and fabric scraps and is a beautiful focal piece for your room! My tutorial even includes a free pattern for you to download! The husband works for a company that gets large parts in daily and they are packaged with styrofoam around them for protection. So, of course I confiscated some. I am a huge fan of creating crafts from recycled materials. 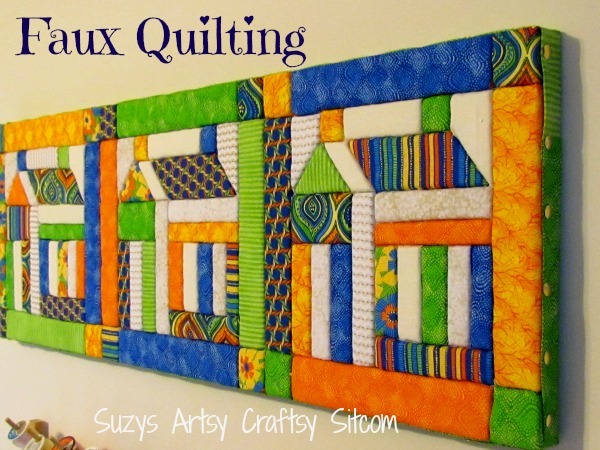 I decided to create a bulletin board that gives the look of quilting, but is actually incredibly easy to do. It is a colorful addition to my sewing room! Want to know how to make your own? 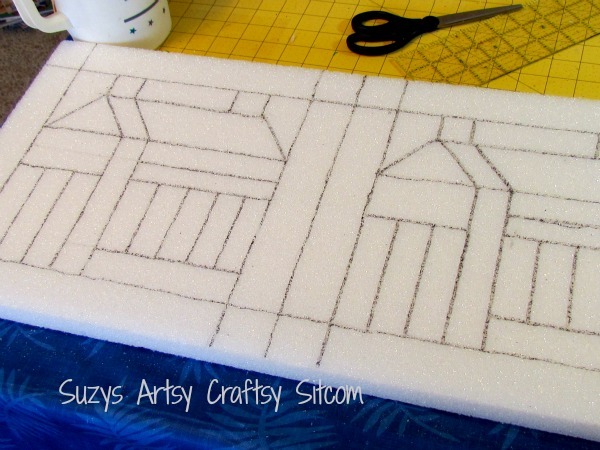 One sheet of styrofoam packing material (36″ x 12″ x 1/2″) If you do not have access to packing material, your local craft store sells it in similar size sheets. 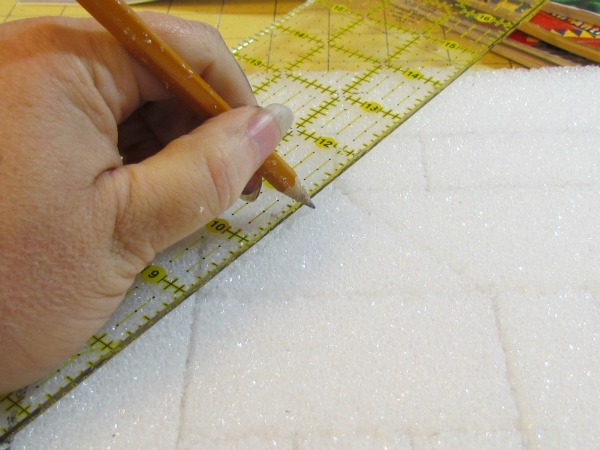 I enlarged the pattern to 12″ square, so I was able to make three repeats of it across the width of the styrofoam sheet. 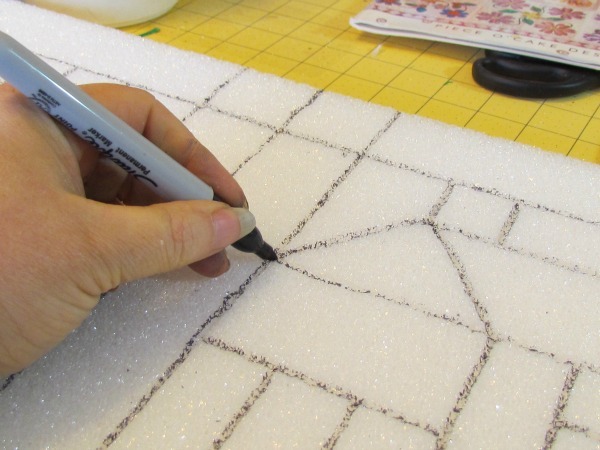 Use a pencil and ruler to mark it out, and then use a sharpie pen to darken the lines. Now you are ready to add fabric! Click here for the next step. Next post: 2013 Photography Challenge – Store Fronts!